In July this year Michael Sun from GVCT’s UK office was visiting the Island of Skye, the largest and best known of the Inner Hebrides, situated off the West coast of Mainland Scotland. Whilst on a break from his guided ‘Haggis Tour’ he discovered the following 20 foot storage container, converted into a form of site office, which had originally supplied by GVCT on a local quay side. This shows that even when on holiday in remote areas of the UK it is difficult to get away from storage containers which have been supplied by GVCT. 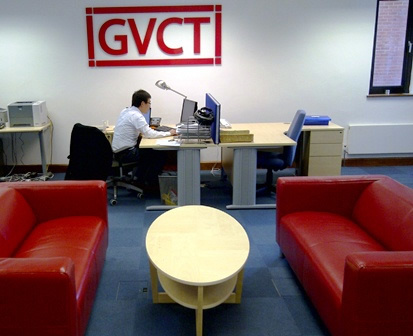 Michael is currently working in the GVCT UK head office in Gerrards Cross in Buckinghamshire whilst on secondment from GVCT’s Shanghai office. Michael currently controls the daily movements on and off hire of the UES HK container fleet for shipping lines such as Evergreen Line and Yang Ming Lines who operate approximately 250 container vessels between them. GVCT UK are the operational agents for UES for all countries throughout Europe and Africa. 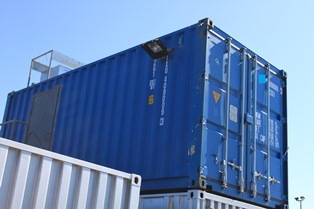 The UES container fleet is more than 500,000 teu and includes over 15 types of marine containers as well as various types of intermodal equipment. This entry was posted in Blog and tagged 20ft storage container, GVCT, shipping containers. ← How is the check digit of a container calculated?